The Vice President serves a one-year term. The newly elected Vice President will automatically become President-Elect in 2013 and President in 2014 without additional elections. During her tenure, the Vice President will have the opportunity to affect AAR policy in powerful ways; in particular, during the presidential year, the incumbent makes many of the appointments of members to openings on working groups. In addition to serving on the Board of Directors, the Vice President also serves on the Executive, Audit, and Program Committees. classics and religious studies and former director of women’s studies at the University of Ottawa. Her writings address the intersection of religion and gender with politics, popular culture, and psychoanalysis. Goldenberg’s publications include Resurrecting the Body: Feminism, Religion, and Psychoanalysis (Crossroad: 1993), The End of God (University of Ottawa Press, 1982), and Changing of the Gods (Boston: Beacon Press, 1979). 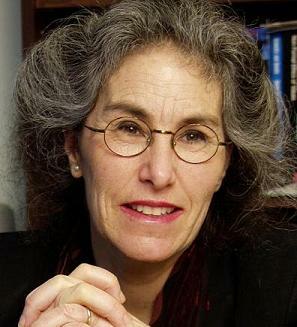 Goldenberg was awarded the William C. Bier Award for her outstanding contribution to the psychology of religion in 2004 by Division 36 of the American Psychological Association. In the same year, she also received the Excellence in Education Prize at the University of Ottawa in recognition of her work with both graduate and undergraduate students. Active in the American Academy of Religion since 1974, Goldenberg has served as section co-chair of both the Women and Religion Section and Religion and the Social Sciences Section. She has been a member of the editorial board of the Journal of Feminist Studies in Religion since its inception. Currently, Goldenberg is coediting a collection about religious/secular distinctions and completing a book titled Contemporary Statecraft, Gender, and the Category of Religion: Understanding the Construction of Religions as Vestigial States. rigorous and socially engaged. I felt that I had sampled intellectual life at its very best. In the years that followed, the AAR continued to sustain my work as a scholar, writer, and educator. Drawn to the intersection of religion with psychoanalysis, women’s studies, popular culture, and politics, I found our discipline to be a flexible and hospitable forum. The regional and national meetings provided occasions to present and debate work in progress, to learn new methodologies, to observe a range of academic styles, to encounter intellectual and moral challenges, to meet prospective employers and editors, and to discover colleagues with whom to develop common projects. Linkage with the SBL facilitated all these purposes and I look forward to the resumption of our concurrent meetings. As a dual citizen of the United States and Canada, I am pleased that Canadian cities are among the venues for AAR meetings. By holding meetings throughout North America, the AAR fosters awareness of the cultural and political differences present on this continent. Our work as teachers, counselors, and public intellectuals requires us to understand and explore our very wide and varied world. In addition, one of the great pleasures of academic life is the cultivation of international collaborations and friendships. During my tenure as co-Chair of both the Religion and the Social Sciences Section and the Women and Religion Section, I worked with colleagues in these Sections and with steering committees from other Program Units to encourage the attendance and participation of scholars who live and work outside North America. Such work contributed significantly to increasing the number of AAR members from Europe, India, Asia, and Australia. It is satisfying to see that many colleagues from these areas are now immersed in the fabric of AAR programming and governance structures. I hope that in future years AAR membership from the Middle East, Africa, and South America will show similar growth. Because the AAR was invaluable in my graduate education, I welcome the attendance of students at meetings. Observing the precision and passion with which established scholars approach their work is essential for apprentices in our field. Students bring energy and concerns about relevance that are essential for the continued prosperity of religious studies in universities and theological institutions. I want to strengthen the AAR’s excellent mentoring programs for students and young scholars and to encourage networking projects among students on both national and international levels. AAR and SBL members understand that religion has evolved historically and culturally to be a huge, multifaceted category laden with ideological and emotional complexities. The very intensity clinging to the term “religion” and its attendant vocabulary is itself worthy of study. In politics, “religion” not only functions as a custodial location for values of justice and tolerance but also as a blunt instrument in the arsenal of authoritarian regimes. As scholars we render religion approachable, loosen rigid dogmatisms used to prop up racism, sexism, and militarism, and create public space for attentive and compassionate conversation. There is enormous need for vigorous, informed, and humane discussion about religion in every medium of global communication. I am proud that the AAR, in association with the SBL, is a dynamic wellspring of such sane and salutary discourse and will do all I can to ensure that the wise work we do as academics in this highly charged field endures and expands in accessibility and influence. Laurie Zoloth is director of the Brady Program in ethics and civic life and a McCormick Professor of religion, Jewish studies, bioethics at Northwestern University. 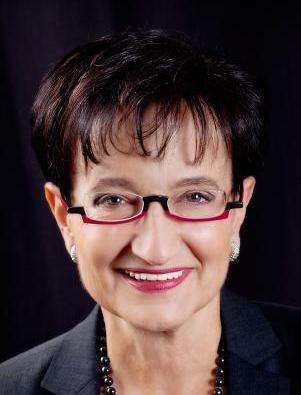 She has served as president of the American Society for Bioethics and Humanities; vice president of the Society for Jewish Ethics; Chair of the HHMI Bioethics Advisory Board; on the Boards of the NASA Advisory Council, International Planetary Protection Committee, International Society for Stem Cell Research, and Society for Women’s Health Research; is part of the NIH Asia AIDS trial group; and is on the editorial boards of The American Society for Law, Medicine, and Ethics Journal, The Journal of Clinical Ethics, The American Journal of Bioethics, and Second Opinion: A Journal of Health, Faith, and Ethics. Receiving her doctorate in social ethics and MA in Jewish studies from the Graduate Theological Union, Zoloth published over 200 essays in ethics, feminist theory, religion and science, Judaism, and social justice. She has authored Health Care and the Ethics of Encounter: A Jewish Perspective on Justice (University of North Carolina Press, 1999) and coedited Notes From a Narrow Ridge: Religion and Bioethics (University Publishing Group, 1999), Margin of Error: The Ethics of Mistakes in Medicine (University Publishing Group, 2000), The Human Embryonic Stem Cell Debate: Ethics, Religion, and Policy (MIT Press, 2001), and Oncofertility: Religious, Ethical, and Social Perspectives (Springer, 2010). Zoloth holds awards for Distinguished Teaching (Northwestern University, San Francisco State University), National Public Service (NASA), and Service to the Field (American Society for Bioethics and Humanities, Graduate Theological Union). She has served AAR as a Chairwoman (Women and Religion Section, Childhood Studies and Religion Consultation) and steering committee member (Ethics Section, Study of Judaism Section, and Scriptural Reasoning Group). It is a privilege to teach religious studies, inviting students to join a complex and profound discussion, driven both by the questions of the field and the questions of the world. Our discipline serves the largest purpose of the university — inquiry about the nature, goal, and meaning of a life vividly lived and carefully examined: What does it mean to be human? Are we free? What must I do about the suffering of the other? The AAR in the World: Our international scholarship is critical for the discourse of global public policy. We bring both the intricacies of our research and the duties of our teaching to this intense engagement. We need to support the strong committees of the AAR that look outward toward the world, encouraging Public Understanding of Religion and Sustainability Committees in their work. We are the critical place for research on how the resources of the academy contribute to a wider civic life. Our texts, traditions, and critiques are meaningful in the largest public debates — just responses to a threatened environment, reflections on war and peace, a deeply uncertain economy, and the aching needs of our neighbors. We have a duty for thoughtful citizenship informed by the insights of our research. Let us go beyond our tradition of addressing ourselves to existing global needs, and disseminating our research to society, raising fundamental questions about emerging challenges. The AAR in the Academy: Humanities in general — and religion and theology in particular — face unprecedented challenges, not just in funding, but in our purpose and our gravity. Universities struggle with diminished state endowments, reduced donations, and dramatically depleted research budgets as the great grant engines — NIH, NSF, NEH, and NAS — cut their historical support, creating enormous losses in formerly secure budgets. The pressure to raise tuition and cut programs that do not promise quantitative results or translational products intensifies. While the epistemic claims of science and technology fascinate our students, sustaining their imaginations, science cannot be conducted, nor technology developed, nor professionals educated without questions of meaning, justice, and telos. Thus, mutual scholarly interests must be pursued collaboratively, not competitively. Let us argue for a growing role for religious studies in the university, drawing from the deep interdisciplinary praxis of the field to raise epistemic and ontological questions about the direction of the academy. We must defend our departments to ensure the future of the field. The AAR as our Community: The AAR comes together after an enormous, yearlong effort and becomes a small “City” of scholars. As we present the fruits of our research in vivid face-to-face encounters with diverse idioms, methodologies, tools, and texts, the meeting represents an opportunity to reflect and act on the commitments of the field — to envision who we could be. Can we create a just and sustainable “place” as a City, elaborating on the efforts to be good stewards of the earth? Can we ensure that the internal life of our association is strong, democratic, and accessible, to both old and new faculty? Let us make the “City” a model place — that honors our teachers, nurtures our students, and allows us to create academic lives of dignity and justice.